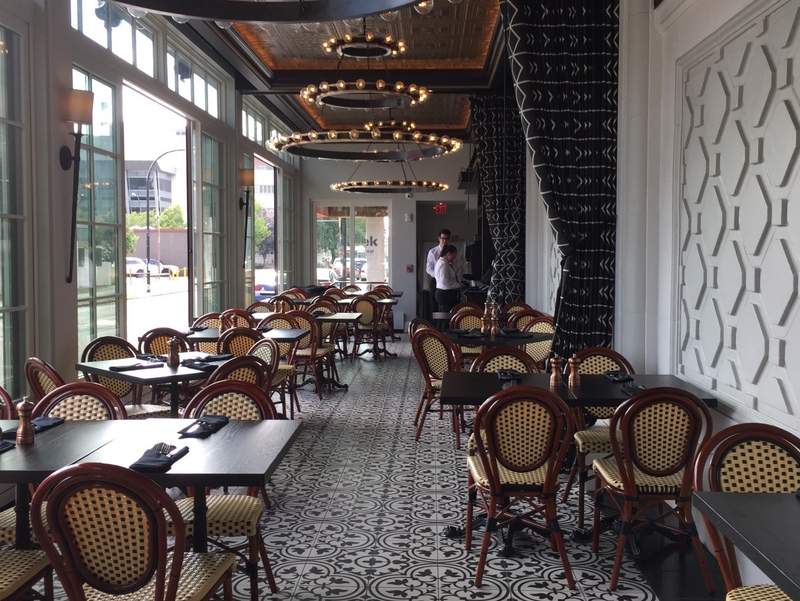 Chez Ami, the restaurant at the newly opened Curtiss Hotel, is still a work in progress. 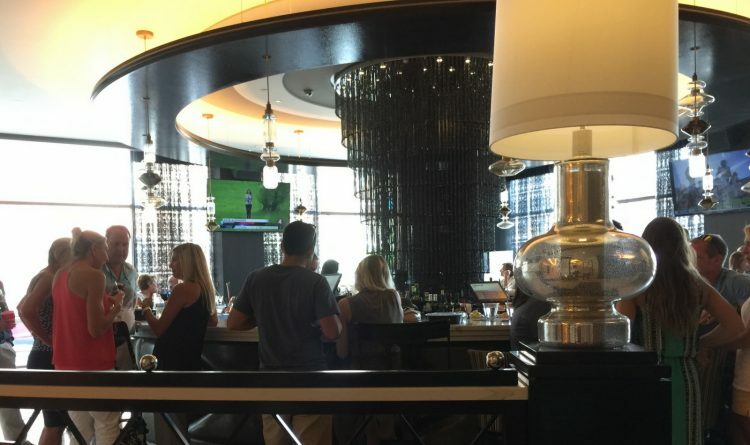 But it's already challenging for the downtown dining crown. A visit Friday night found the restaurant's West Huron Street door locked, even though the restaurant was very much operating, albeit in soft-opening mode. 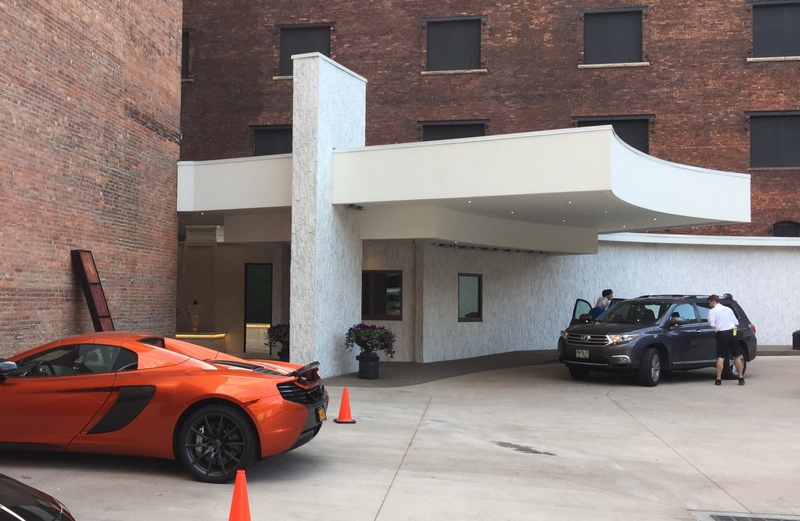 Visitors were thus encouraged to go around the corner to the Franklin Street entrance, for a mini-tour through the vestibule and terra-cotta-lined hallways of the $24 million project. 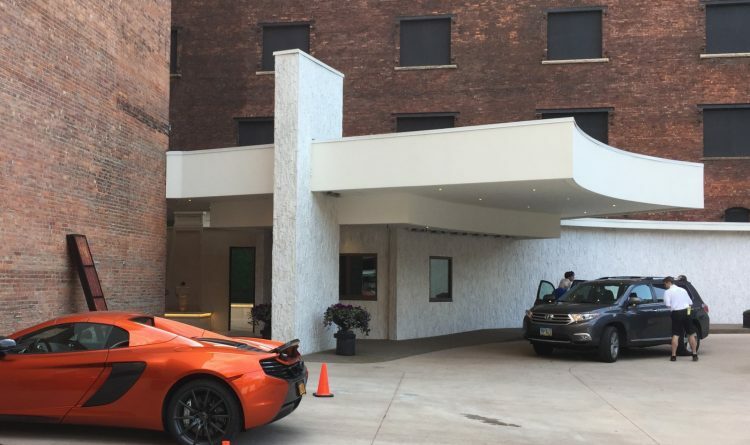 A rooftop bar is also set to open soon, offering some of the most impressive cocktail-augmented views in downtown Buffalo. 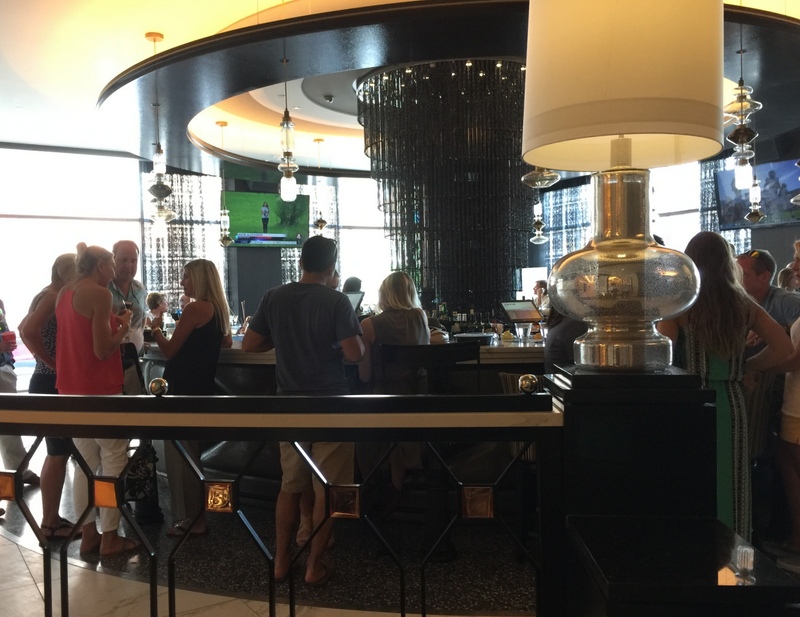 The circular bar is surrounded by a ring of seats that rotate once an hour, an homage to the Chez Ami nightclub that was once the coolest spot in Buffalo. The bar was was standing still when I got there. A staffer explained that it stops moving from time to time to allow bartenders to enter and exit. A side room with retractable window walls has been built onto the West Huron sidewalk, allowing customers to enjoy sunny streetside meals in fair weather. 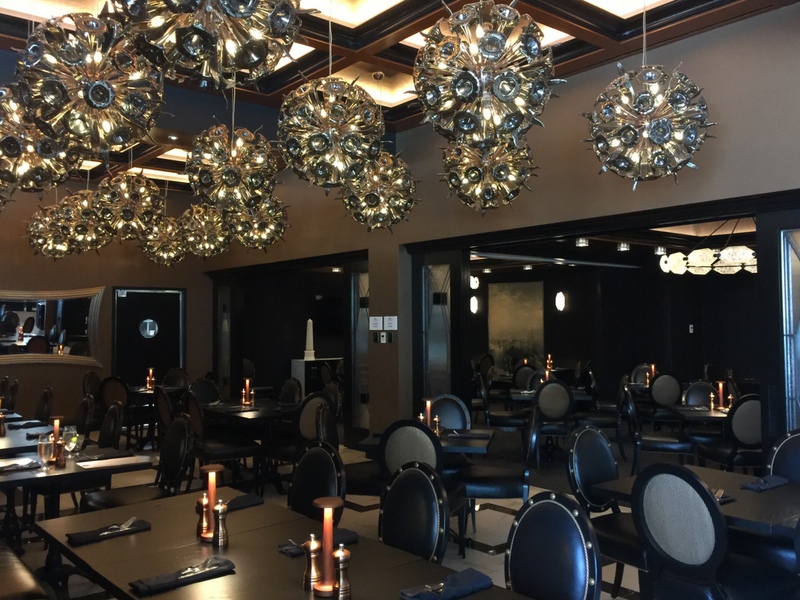 The main dining room is darker, with black walls and black furniture well-lit by elaborate ceiling and tabletop fixtures. Executive Chef Vincent Thompson's opening menu concentrates on presenting familiar satisfactions accented with fine-dining details. Bread service ($7) included three types of warm single-serving loaves, of faintly sweet, eggy brioche, baguette and rosemary-olive baguette. A disc of butter was topped with salt crystals and surrounded by grassy olive oil. Crispy burrata ($13) put outstanding, oozy burrata in a crumb coat for a tuned-up version of caprese salad. 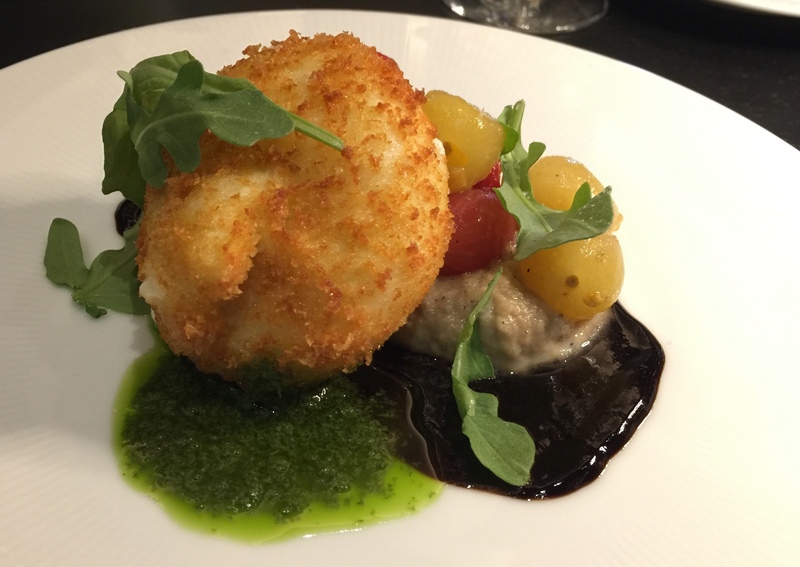 Tiny skinned tomatoes perched on smoked eggplant puree, basil pesto and balsamic intensified with black garlic served as dance partners to the fresh, milky burst of mozzarella. Octopus ($17) demonstrated admirable crispiness without sacrificing core tenderness. 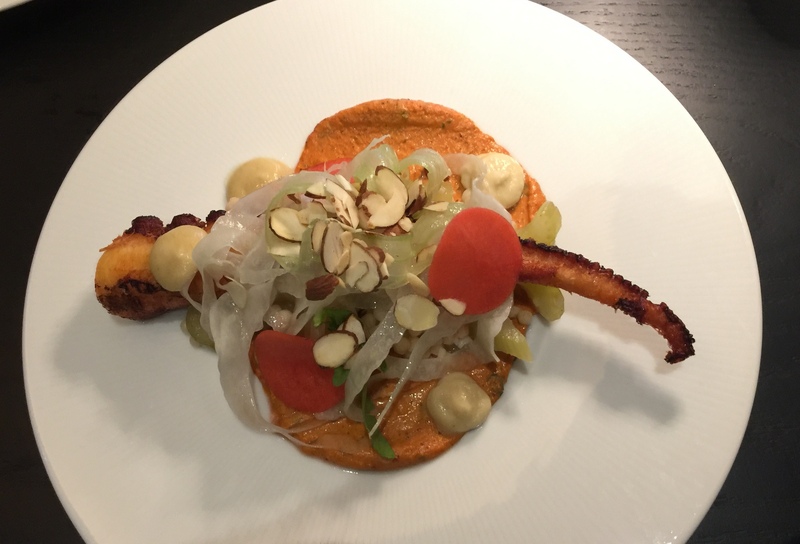 The red-pepper-led romesco sauce underneath accented without overwhelming, with fennel and almonds for more flavorful crunch. 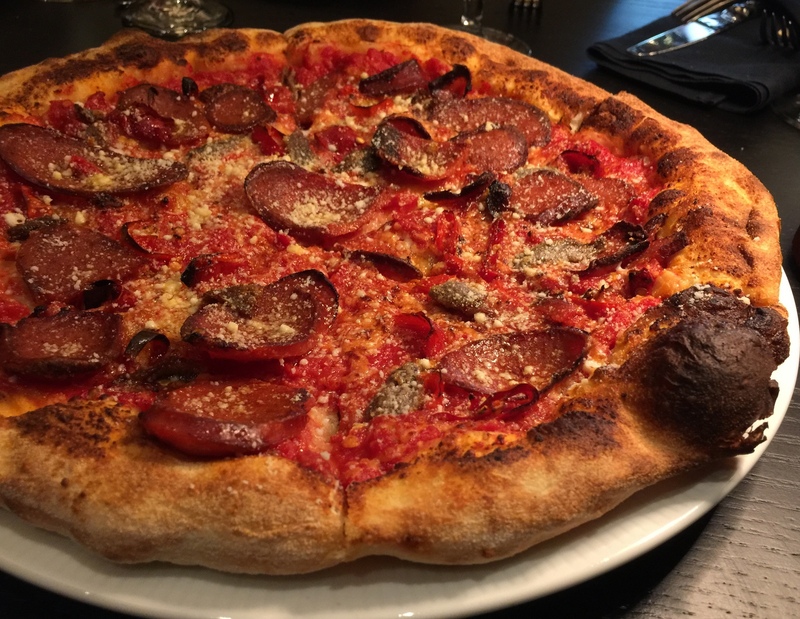 Pepperoni pizza ($17) had a puffy crust with wisps of char. Adding anchovy to the already lively pepperoni heat gave it a welcome savory punch. Housemade pastas, served in appetizer-sized portions, included gnocchetti, pappardelle, and garganelli ($18) with crab and a giant head-on prawn in tomato sauce whose natural sweetness was warmed with Calabrian chile. 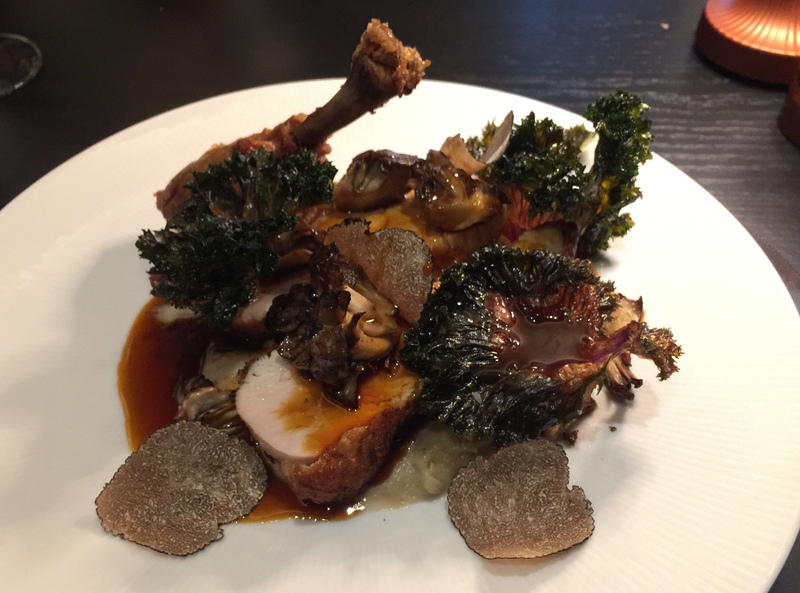 Roast chicken ($29) got the tuxedo treatment - brined, crisped, adorned with shaved black truffles and, on arrival, drizzled with truffled jus. Supported with sunchoke puree and hen-of-the-woods mushrooms, accented with fried kale leaves, it was a hearty but elegant ensemble. 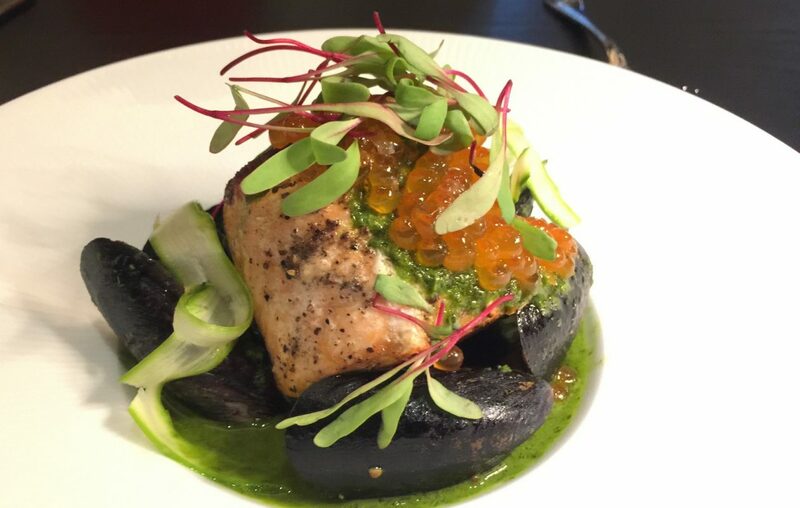 Salmon ($34) went uptown too, swimming in green garlic bouillon, surrounded by mussels and crowned with salmon roe. Aged duck ($34), crowned rosy meat with adeptly crisped skin, with sweet roasted carrots and pistachio with duck jus. 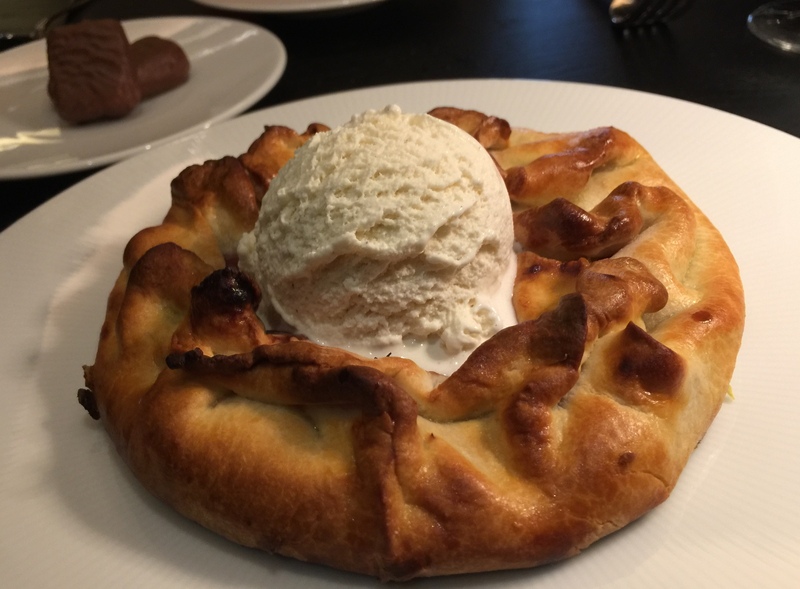 Desserts included a strawberry rhubarb crostata ($10), served warm with vanilla bean gelato, with orange sponge candy to end the meal on a sweet note. Chez Ami is planning to add a charcuterie station as well as other refinements and elaborations as it develops its standards. In its first weeks of operation, Chez Ami is well on its way to thrilling a new generation.